Working towards Destination Zero; the MP&L team are committed to ensuring all our vendors are compliant with high site standards and good working practices. At the time of writing, there are over 2000 construction workers and vendors on site! 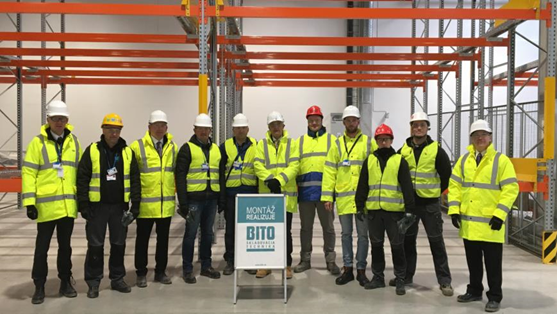 In Plant Nitra, Slovakia, technology buildings are being handed over for industrialisation and equipment is being installed in readiness for release to the operational plant team. The Green Card process recognises vendors for high site standards and good working practices. 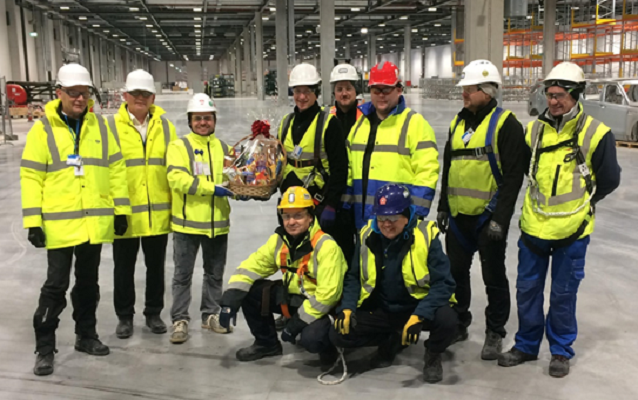 MP&L were the first technology group in Plant Nitra to have an award presented to a vendor. BITO, who installed pallet racking solutions in BIW, were MP&L’s first vendor to be mobilised on site and, on 16th November, they were awarded a Green Card by Bill Patrick (AME-Construction Project Manager). Battery Charging supplier (Enersys), our second vendor, were also nominated for a Green Card through high standards of housekeeping, effective control of working area and good on site documentation; they received their award from Takenaka (Principal Contractor). “I am delighted with the recognition we have received, which is testament to the effective collaboration between vendors, general contractor, programme and plant teams. In a startup operation of this scale, safety is at the fore front of our daily work. As we continue to industrialise Plant Nitra and the presence of vendors and equipment grows it is essential that we maintain this focus."